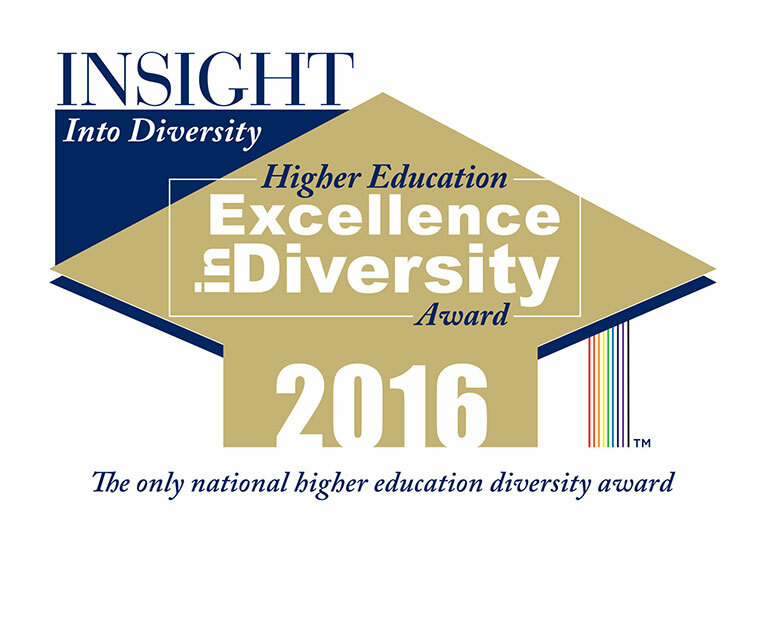 Indiana University Bloomington and Indiana University-Purdue University Indianapolis have again been honored with the Higher Education Excellence in Diversity Award from Insight Into Diversity magazine, the oldest and largest diversity-focused publication in higher education. Both campuses will be featured, along with the other recipients, in the November 2016 issue of Insight Into Diversity magazine. "A university should be a place where all types of people can come together as a community that is dedicated to inclusion and celebration," said James Wimbush, dean of the University Graduate School and vice president for the Office of the Vice President for Diversity, Equity and Multicultural Affairs. “We are pleased that IU has been recognized for its continued dedication to creating welcoming campus communities where faculty, staff, students and postdocs can do -- as often stated by former IU President Herman B Wells -- 'their best work.'" The magazine’s recognition reflects IU Bloomington’s and IUPUI’s continued commitment to diversity, a top priority in each campus' strategic plan. In making its selections, Insight Into Diversity factored in each institution’s campus and unit diversity plans; diversity recruitment and retention policies and initiatives; leadership involvement in diversity efforts; peer mentoring and tutoring programs; organizational structures; diversity training; minority student population data; and graduation rates and trends. When reviewing IU Bloomington’s and IUPUI’s applications, Insight noted IU’s university-wide, objective and comprehensive diversity assessment, conducted in support of the university’s commitment to creating a diverse, engaged, multicultural academic community. Conducted by outside consultants Halualani & Associates, the assessment examined all diversity efforts completed by divisions, programs and units on IU campuses in a five-year period. The assessment revealed that IU Bloomington implemented nearly 2,000 diversity efforts and found that 99 percent of those actions were motivated by a desire to create the fullest educational environment around diversity. The assessment also revealed nearly 1,600 diversity efforts at IUPUI. Insight also noted both campuses’ strong affinity groups and diversity and inclusion resources as well as IU’s annual diversity fundraising program. Insight’s review process also included many IU Bloomington achievements, such as the numerous opportunities for the diverse student body to travel abroad. This included the IU African American Choral Ensemble’s tour of Germany in May that provided educational and cultural exchange. The 27 students traveled to several cities, where they witnessed the impact of African-American music around the world and played a part in its global expansion. IU Bloomington was also noted for its Faculty and Staff for Student Excellence Mentoring Program. The program is launching a new faculty-student mentoring initiative, matching faculty with students who are seeking help navigating the university environment, developing talents and preparing for success. Currently the program has attracted over 100 IU faculty members and almost 200 students. Insight Into Diversity also noted specific IUPUI achievements, including the implementation of multiple recommendations from task forces convened by IUPUI Chancellor Nasser H. Paydar to improve recruitment and retention of African-American students and Latino students, staff and faculty. IUPUI recently completed a Campus Diversity Plan using framework of scholar Daryl Smith of Claremont Graduate University. Each IUPUI school diversity plan now follows the same framework but also addresses unique needs of each school. IUPUI was also noted for its comprehensive Campus Climate Survey used to improve the experiences of women, individuals with disabilities, members of the LGBT community, people of color, veterans and religious experience. That includes renaming single-occupancy restrooms to all-gender restrooms, a name chosen by students, to better reflect and respect transgender students, staff, faculty and campus visitors. Insight also recognized the campus for its work with deans and department chairs on recruitment and retention of faculty of color and women in STEM fields.